I'm not a pen collector, but I really like when (relatively) affordable pens are released in a variety of colors. If I'm going to collect something, it may as well be colorful, and it's probably safer if it's affordable. And convenient. And writes nicely. 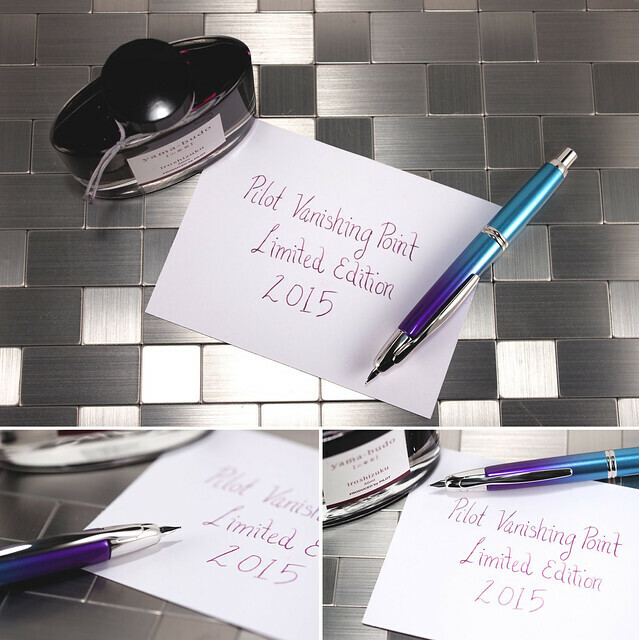 This year, the Pilot Vanishing Point 2015 Limited Edition is called Twilight. I hope they make a whole range of these in a variety of colors! It's called Twilight and is a gradient of ice blue to royal purple. While packaging rarely gets to me, this gift box is rather attractive. I love the purple at the end. I really like stub nibs, so I'm pretty excited Pilot is releasing a stub nib. The 18k rhodium-plated nibs are precise, tidy writers, so I'm looking forward to trying that stub out. I thought you might like to see some pictures! Pilot has set up a 10% off code for you guys on their site: Pilotpen.us. The code is: GourmetPens10. No affiliation, no commission, it's just for you in case you would like a Twilight of your own (no vampires). Code is valid from July 31, 2015 - August 30, 2015. Update: Pilot USA has let me know the Twilight will not be available on their site. It should be available from retailers in the fall. Coupon code is valid on the other VPs on the site. Sorry for the confusion - I, too, thought they would be on the site! Bummer. 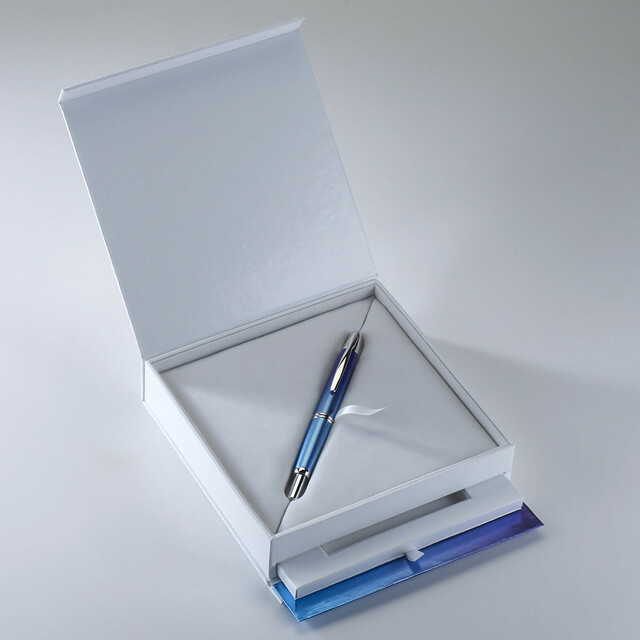 Thank you to Pilot Pen USA for the lovely pictures - hope you enjoy!